Okay, so here it is... it took a little longer than I thought to publish my thoughts, but here begins the new chapter in my life. Starting with the change to this blog that started back last year in June. Changing the name of this blog, changing jobs and the biggest change—my entire camera system! Returning to this blog has taken some time to get here, mostly because so much has changed in my life. I stopped writing here about four years ago, and much of that was burnout and becoming disenchanted with the system I was with and reviewing in general. I return to share my stories, not to try and compete with other writers or reviewers. This brings me to the big step I took, which was to rid myself of all my various camera systems to consolidate it into one! I also contacted Michael Zhang at PetaPixel about a chart I put together, motivated by my own personal analysis and was part of an exercise to see how the value of a system panned out across all competing brands. The featured article, of course, garnered some conversation over it, but ultimately it merely was an exercise to compare perceived value. If you're interested in the article, follow this link. When I stopped writing on this blog, I was struggling with the value proposition of my Sony dominant system at the time. 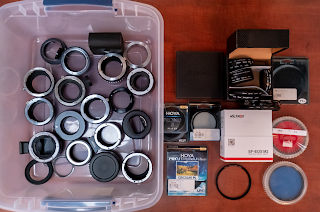 I've written a few articles about the Sony system over the years (both positive and some negatives), but at that point was deciding to get out of it and return to Canon (mostly to be in align with my work situation). I was up to 6 Sony bodies at that point, had racked up a couple hundred thousand plus photos and video on them but to quote someone else who was in a similar situation as I, Sony felt like it had no soul (more on that later). But let us just say that I regretted even dabbling in Sony for numerous reason beyond that. Disenchanted already, sold off most of my Sony equipment to return to Canon, and the biggest pain I faced was the amount of depreciation the system took in such a short time! My previous Nikon, Canon, Hasselblad, Leica or even Minolta systems in my experience, didn't depreciate as quickly as Sony. I buy and sell a lot of gear in the past 20 years, but I was shocked to see how much value was lost in my Sony equipment, sometimes more than half in less than a couple of years. It certainly made coming back to Canon, that much more difficult to do. After I had moved much of my Sony gear off my hands, I spent a few years back with Canon. I loved it for the most part and just had way more soul to it than the Sony did. Loved working with the files and it just always worked right with the past three years over a course of a million photos. It took much longer to rebuild my kit over that time and added a mirrorless EOS M system to the mix. But I ultimately thought about why I had so many cameras, so many competing systems, so many adapters and so many unnecessary redundancies (I call that bucket my 'Bin of Regret'). I practically duplicated what I had in full frame to have it in mirrorless as well which didn't really make a whole lot of sense. 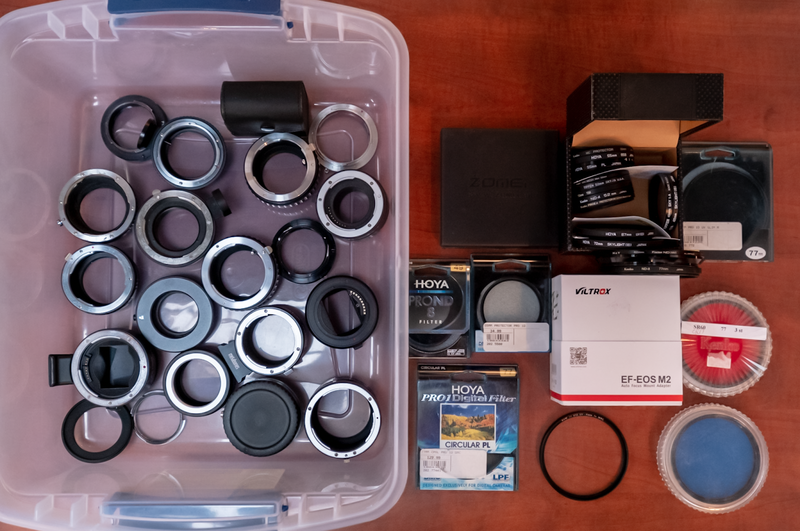 I also still had quite a bit of Sony left over as well and it just felt right to grab as much as I can out of my 4 or 5 bins of camera gear and simplify my life. But more than just having multiple systems, I also questioned the ever-rotating gear that fuelled what many call within themselves Gear Aquisition Syndrome (GAS). I certainly will not say that I did not suffer from this, but I asked myself, why did I participate in it? A question I asked myself over and over again, and although I love collecting nice things, as an artist, I could not come up with a valued reason of why I was doing this. It seemed to me the only adage that defined this is, 'he who dies with the most toys wins'. A commentary that isn't meant to be taken literally but to criticize the notion that one mustn't collect material things to be fulfilled. The same goes for the marketing of how each system is better over the other. As an artist, photography is not a competition, it is a tool to express and capture a moment that I had seen, felt emotion, and now want to share it with others. This brings me back to the notion of 'soul'. I don't mean that a system has a sentient consciousness. Sure some cameras now integrate artificial intelligence into their technology, but to me, that removes the human element even further. Moving into FUJIFILM is less about having access to controls which it touts as its benefits. Honestly, I feel having more external controls confuses new users to the system. However what I love about the added external controls, is being able to access it like a refined tool, rather than it be a decision taken away from me and decided by the camera. One could easily conclude that most expert level cameras have manual modes which are no different from the others. I don't deny that one bit, but what I feel is different is FUJIFILM approaches photography from an entirely heuristic and tactile way. I've been calling it a little bit like a paradigm shift in how I take photos but more importantly, it's like having a really fine set of quality brushes, versus inexpensive ones that do a great job, but you can feel the difference when you create and get that feedback on how it all works. FUJIFILM, in my opinion, gives me that and more. Now I'm not saying that you can't get that in Sony, Canon or Nikon. It ultimately is up to you to find that experience in the tools that you use. I personally feel that FUJIFILM has really made a system that appeals to the artist in me and less about the technical side in me. Although I feel that the system is a technological marvel, it's less about that, and more about the tactile and heuristic experience I get from it. It makes everything feel like an extension of my creativity, and less about trying to create images to compete with other photographers or cameras. To be clear, this isn't my first FUJIFILM camera. If you've followed me since the beginning of this blog, you'll know I created some interest in how I processed and exploited the most out of the FUJIFILM X-Trans sensors when I was shooting with an X-Pro1. It really is nice to come back to the format, both for the quality of the files, but also to be able to get somewhat geeky and do some unorthodox processing with it. Alternative processing, yielding higher resolutions at 103 MP, more details and higher tonal range. Once again, I'm exploring high-resolution processing while utilizing the unique character of X-Trans files to exploit and benefit from additional information hidden in the files. 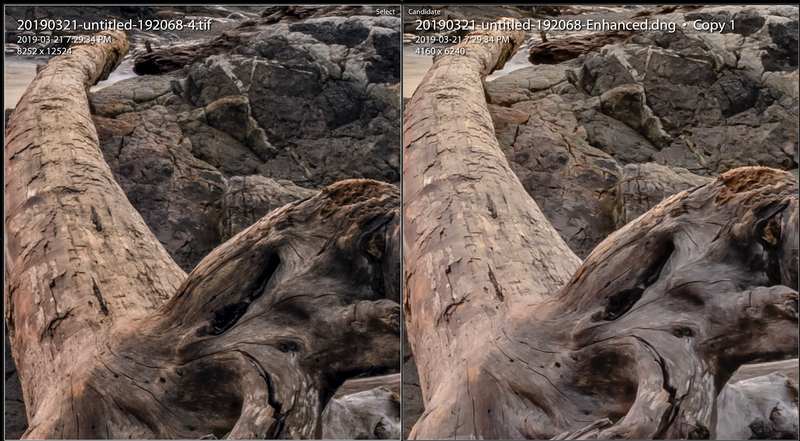 My recent experiments showed really favourable results and I'm seeing images that easily and certainly rival 50MP cameras up to the limits of 103MP (at this point, I'm seeing more limitation on the ability of the lens to render any finer than that). However, it is a testiment to the product and the ability to give me more than what is straight out of the camera which is already superb. Now it is way too early to write up any conclusions on my big move, but ultimately, I'm very happy with the shift. I traded in my random equipment to unify it into one consistent system. 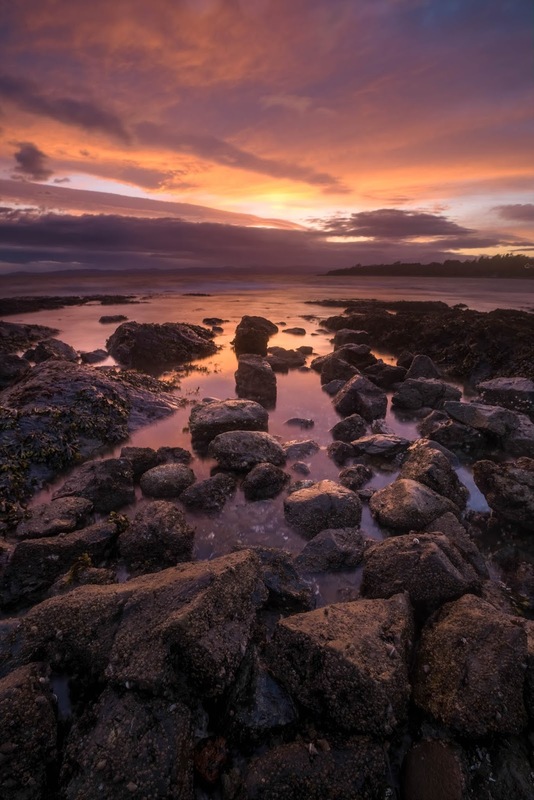 I made it so I had a back-up system, but also allowing for my eleven-year-old son to also enjoy his photographic journey with me (I bought a FUJIFILM X-T1 as a back-up camera and for his own to use). 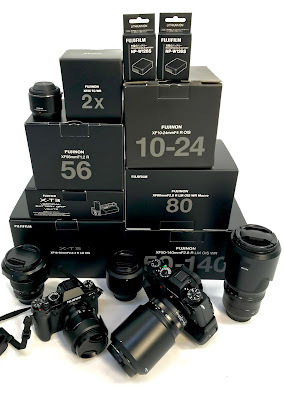 The trade was done through my local camera store Kerrisdale Cameras, and with advice and support from FUJIFILM Canada which I've worked with in the past, I was able to create an amazing system that should serve me for many years to come. I really give hats off to both for making a very equitable transition back into this family. My past regrets are somewhat relieved as I got a great kit in the end, and although I look in my 'Bin of Regret' to remind me of how much time I wasted chasing things, it all brings me some comfort that I can move beyond it and focus on just enjoying the art, the creative process, and the tools to get me there. I can't promise that I'll be reviewing more stuff (or more frequency) or talking about technical things like I have in the past. As the rename of my blog is suggesting, I hope to tell more stories related to photography and talk about the journey of getting there while putting less focus on the technical merits of one system over another. I'm happy to come back to writing, so hello to everyone again and look forward to interacting with my readers. 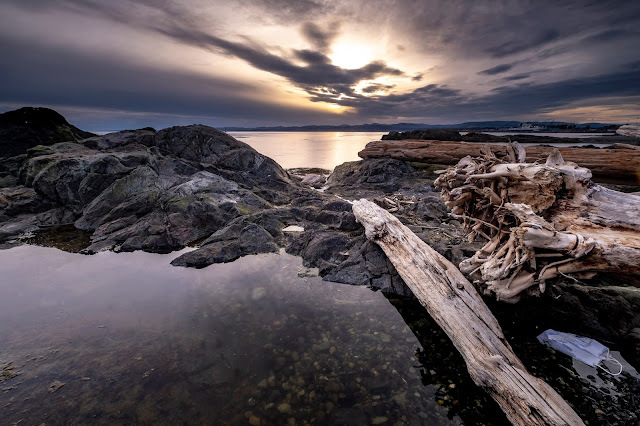 FUJI X-T3 XF 10-24 F/4 Black Card Technique.